White Moon marble marble carved from white marble. Natural stone tubs are the great addition to a beautiful bathroom. Solid thick beautiful carved white marble bathtubs. This is the double slipper style one of the most trending stone and styles. On the slipper tub one side curves up but with the double slipper both sides curve upwards. Also, take a look at our fireplace selection and our kitchen hoods. 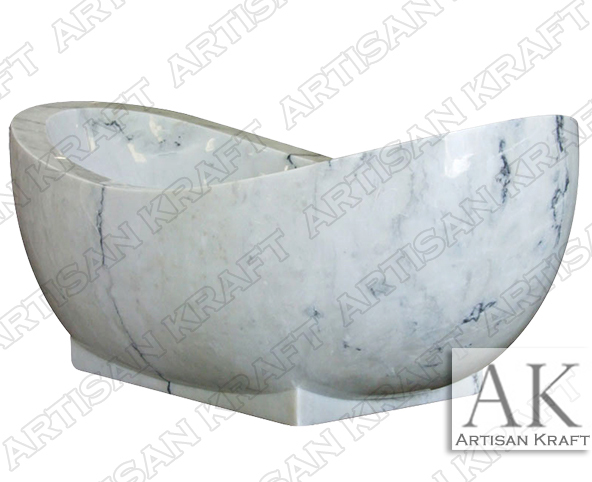 This white marble tub is for the customer looking for a sophisticated stylish bathtub.